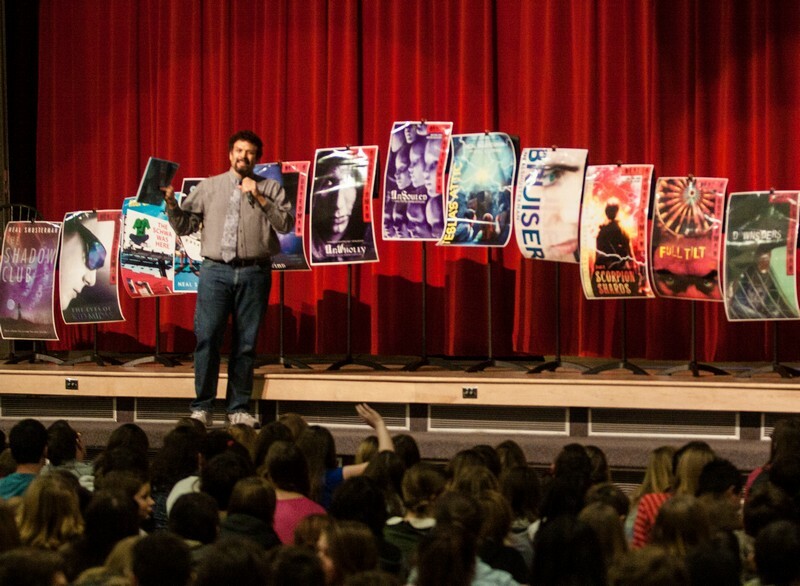 Neil Shusterman, author of "Unwind," spoke with eighth- and ninth-grade students at Treasure Mountain Junior High on Thursday, Dec. 5, about his writing process and inspiration for the novel and its sequels. Alexandria Gonzalez/The Park Record. The students of Treasure Mountain Junior High sat on the floor of the cafeteria, listening intently to Neil Shusterman, author of the young adult novel "Unwind," as he spoke about his writing process and what inspired him to write the book. 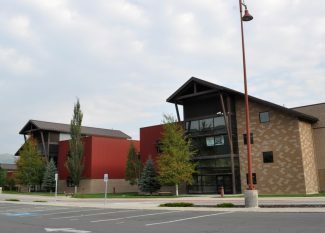 "Unwind" is assigned to Treasure Mountain students to read for class. English teacher Michelle Stratton said this is the third year students have had to read the book and that it is by far the one that engages students most. "It is science fiction and set in the not-so-far future after a second American civil war known as the Heartland War has been fought over pro-choice and pro-life," Stratton said. "Several kids will say they do not like to read, that it’s their last resort for a pastime, but they like ‘Unwind.’"
In Shusterman’s novel, a compromise is reached in the fight over abortion that allows parents to sign an order for their children between 13 and 18 years of age to be "unwound," their body parts given to people who need them. The debate between pro-life and pro-choice raises many questions that Shusterman said he likes to pose but not answer. However, he answered many questions students in the audience had for him during an assembly held on Thursday, Dec. 5. 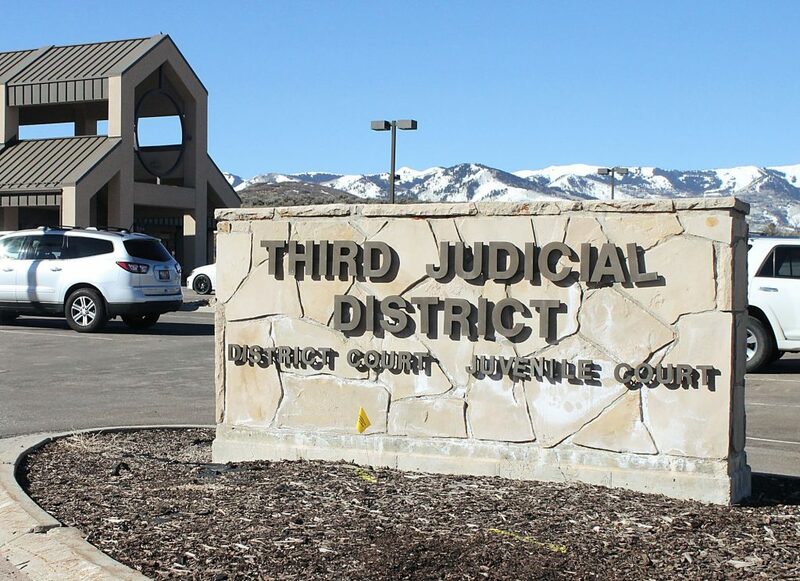 Stratton said last year, she saw online that he would be at a library in Salt Lake City to sign books and answer questions. While it was too late to arrange a school trip to the event it was two days later she decided to attend on her own with her son. "When I went and listened to him, it was clear he was so intelligent and knew how to engage an audience," Stratton said. "He said, ‘I won’t tell you what to think, but I can guarantee I will give you something to think about.’ That’s when I knew we needed him to come speak to our students." 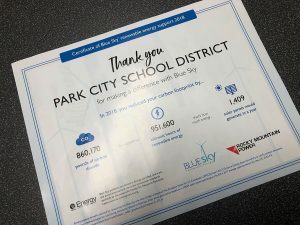 She submitted a grant request to the Treasure Mountain Junior High Parent-Teacher-Student Organization, and they worked with the Park City Education Foundation to fundraise the $3,000 needed to bring Shusterman to the school. From 8 a.m. until 9 a.m., Shusterman signed 50 personalized books for students who had won trivia contests throughout the week organized by the Latinos in Action club at the school. At 9:15 a.m., he spoke to the student body at an assembly in the cafeteria, and once that was done, he held a writing workshop for the eighth- and ninth-grade creative writing classes. 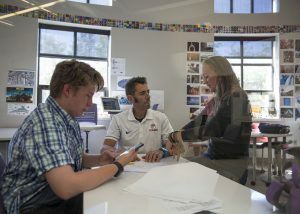 Stratton said that she hoped students would learn from Shusterman, whether it be how to write well for school or how to write creatively and passionately. 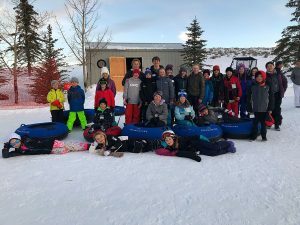 "It is important for the kids to see that writers are real people, that writing is not just something you do but it can get you places," Stratton said. "You don’t have to want to be a professional writer in order to see that communication is important and a huge skill in being able to draw people in to your ideas." For more information on the "Unwind" book and its sequels, "Unwholly," "Unsouled" and "Undivided," visit Shusterman’s website at http://www.storyman.com.